Life is like a maze, sometimes it’s easy to find your way to where you want to go, other times you stumble around coming up to dead ends or not being quite sure of which direction to take. I’ve never really enjoyed mazes. Wellyman on the other hand, with his more logical, problem solving brain, loves them. He tackled one in Belgium three times in the same afternoon. The second and third times he was unaccompanied. As mazes go Drielandenpunt is pretty impressive. On the borders of Germany, Belgium and the Netherlands it is Europe’s largest hedge maze, created by the English maze designer Adrian Fisher from 17,000 hornbeam trees. Once was enough for me though. I’m feeling a bit like I’ve been stumbling around in a maze for most of August to be honest which explains my absence from the blog. August always brings a lull. It’s a no man’s land, ideal for those on holiday but a strange void of time for those who aren’t. I was meant to use this month productively and make the most of the quiet spell. We’ve caught up with family and some friends which has been lovely but the admin and tax return still await, silently nagging me as I walk past them piled up on my desk. Other jobs I had hoped to tackle remain on my list and September is approaching fast. Discombobulated is the word for it. I’m sure the weather hasn’t helped. It is August, isn’t it, and I haven’t slept Sleeping Beauty-like for several months and woken up in November. I need some clarity as my mind has developed a fog which won’t seem to shift. Even my garden and plot aren’t providing the same respite they normally do. I’m not sure if they are actually contributing to some of the fog. They’ve both had to work hard this summer with pots and plants galore and the garden is feeling cramped – perhaps I’m asking too much of it. Certainly the crab apple needs attention as it’s casting too much shade over the end of the garden hence the back border flagging so early this summer. Where it once created pleasant, dappled shade it is now downright gloomy. It feels like I need room to breathe and that the garden needs room to breathe too. But through the fog come the flowers. 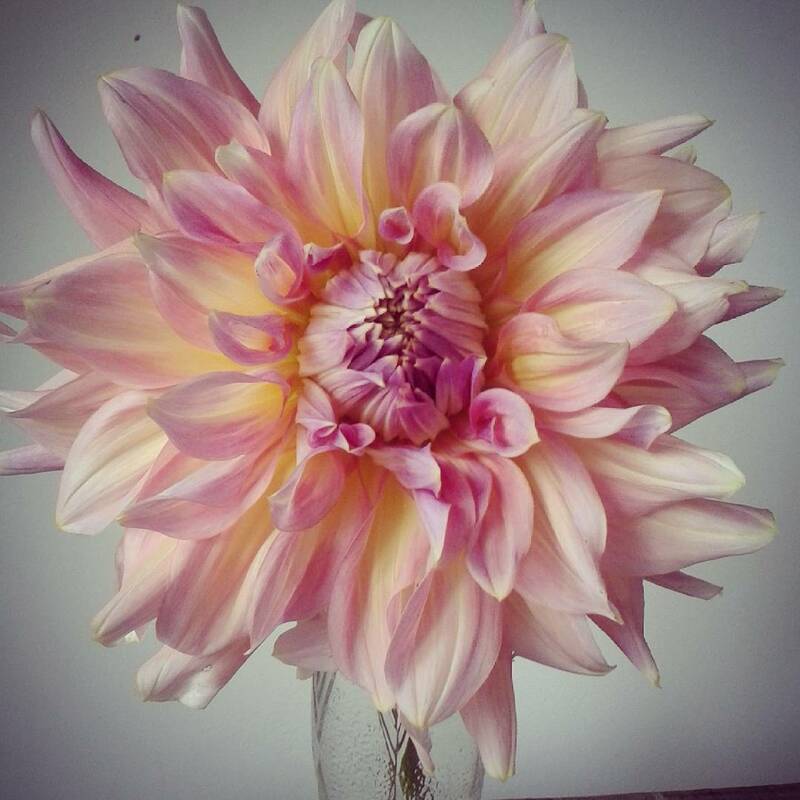 My love of dahlias grows every year. They just make me smile and I’ve noticed it’s a reaction others have to them too. They are joyful blooms and I want more. I picked some Dahlia ‘Karma Naomi’ and D. ‘Amberglow’ yesterday, along with some other flowers to take to a friend who has just moved into a new home. Ann is a feisty, spirited lady in her seventies who used to be our neighbour when we first moved to the area. She has just taken the plunge and left her home of over 20 years to move into a flat as arthritis takes its toll, so I thought the flowers might bring a smile to her face and they did. On the journey there I had so many people asking about the dahlias. 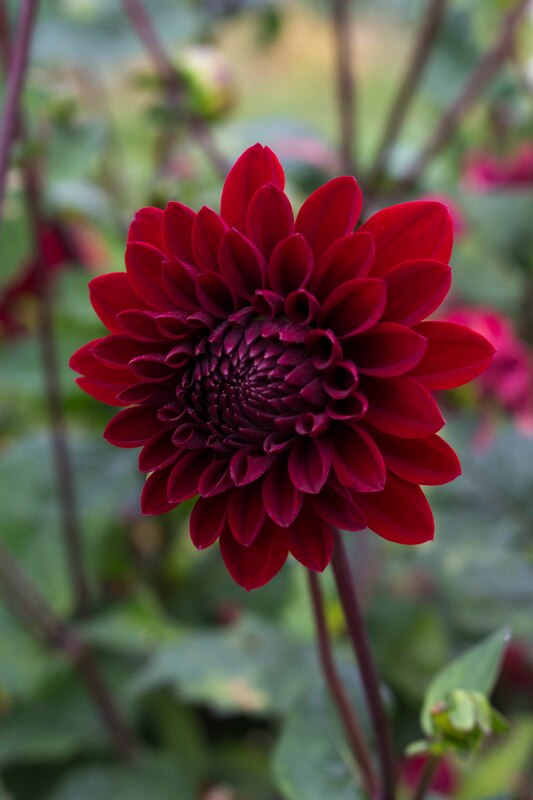 I fear for my bank balance as my dahlia wish list is growing daily thanks largely to all those flower growers I follow on Instagram. Could I devote a whole bed at the plot to just dahlias? Well, half a bed at least. This one is a bit of a monster. The flowers on D. ‘American Moon’ are big and I love the intricacy of the petals and the flashes of lemon among the pink. 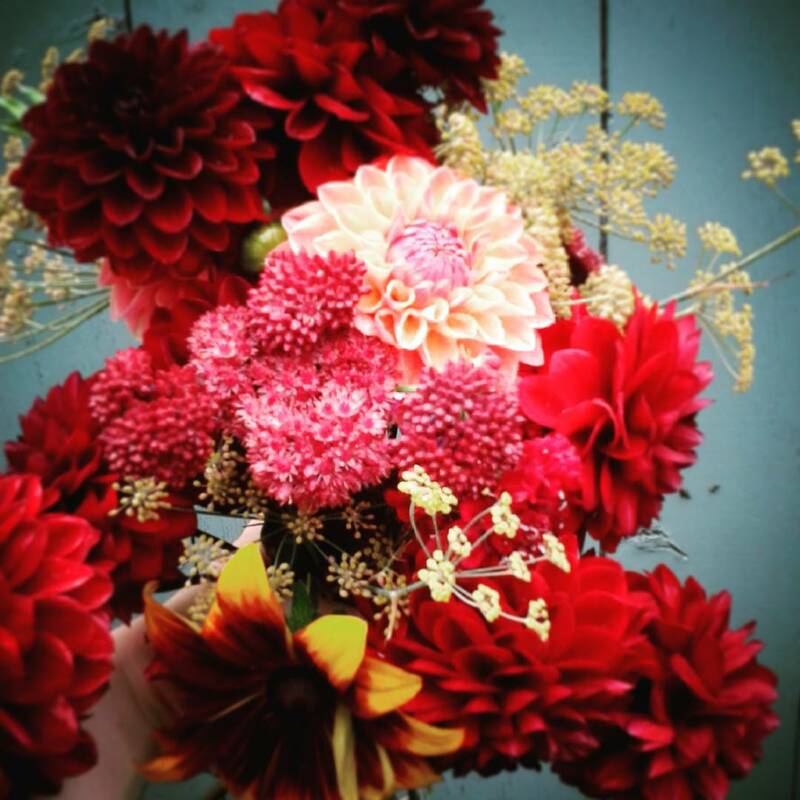 It’s a bit tricky to use with other flowers in arrangements as the flower heads are whoppers, but it’s beautiful enough to warrant a vase of its own. 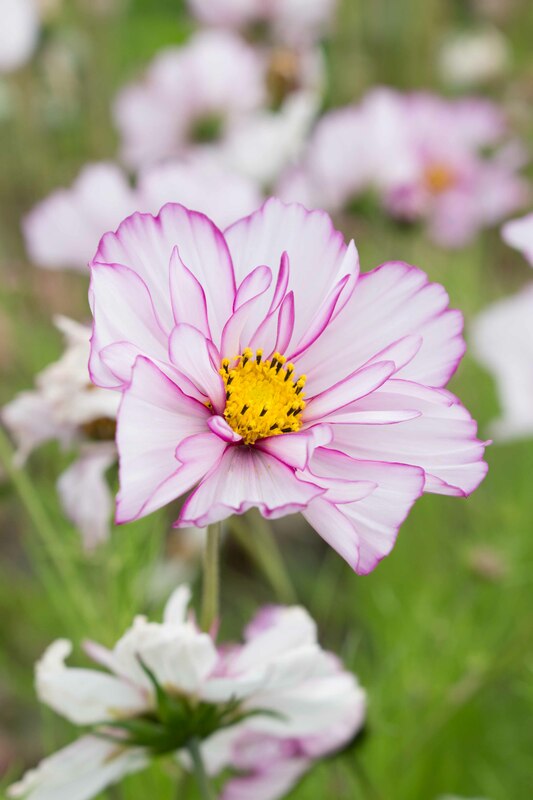 One of the stars of the show this year has been Cosmos ‘Xanthos’. It’s been flowering now since the start of July. I know lots of gardeners shy away from yellow or just don’t like it as a colour. I interviewed a gardener recently who told me she’d told the designer Tom Stuart Smith that she didn’t want any yellow in her garden. He went ahead and added yellow plants and she now loves the colour. I’ve loved ‘Xanthos’. 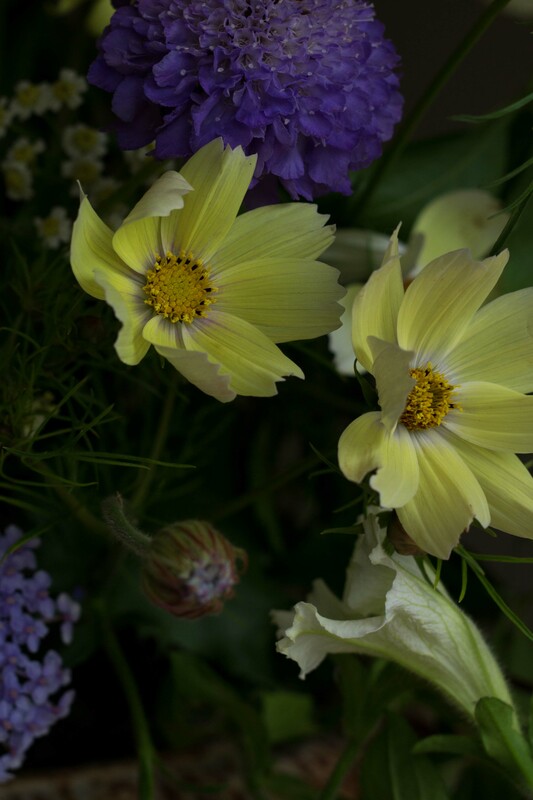 In fact, it might even be my favourite cosmos. I find many of the pink varieties a bit too girly. They conjure up images of cupcakes, frills and candy floss. I’ve loved ‘Xanthos’ because it’s like a hit of acidic lemon juice cutting through all that saccharin sweetness. It looks fabulous planted and arranged with the striking blue of Salvia patens. Another favourite is Larkspur ‘Misty Lavender’. 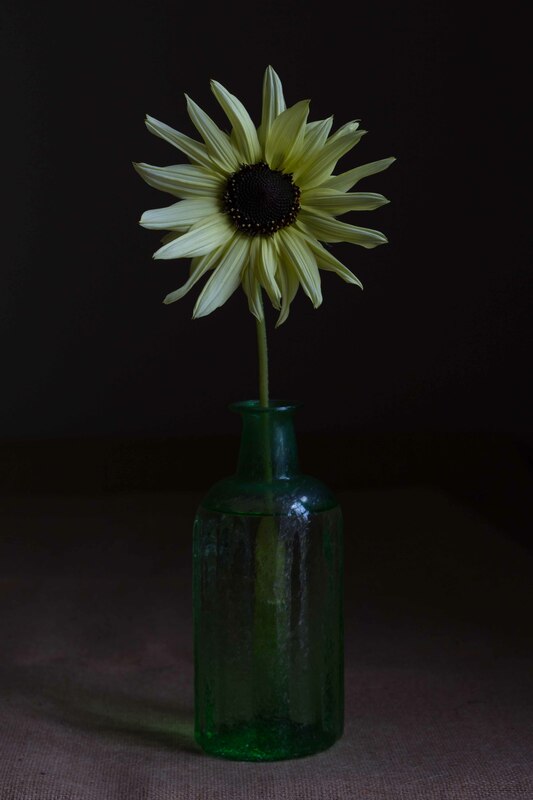 It has an aged vintage beauty about it even as the petals unfurl. Like all larkspurs it dries really well, retaining its colour beautifully. I have used larkspurs in several projects in my new book The Crafted Garden and have bunches of larkspur drying in my airing cupboard at the moment. I love plants which have other uses, whether it’s a pretty seed pod, petals that dry or fabulous foliage, as well as stunning blooms. In a small space it makes sense to grow plants which can be used for different purposes. 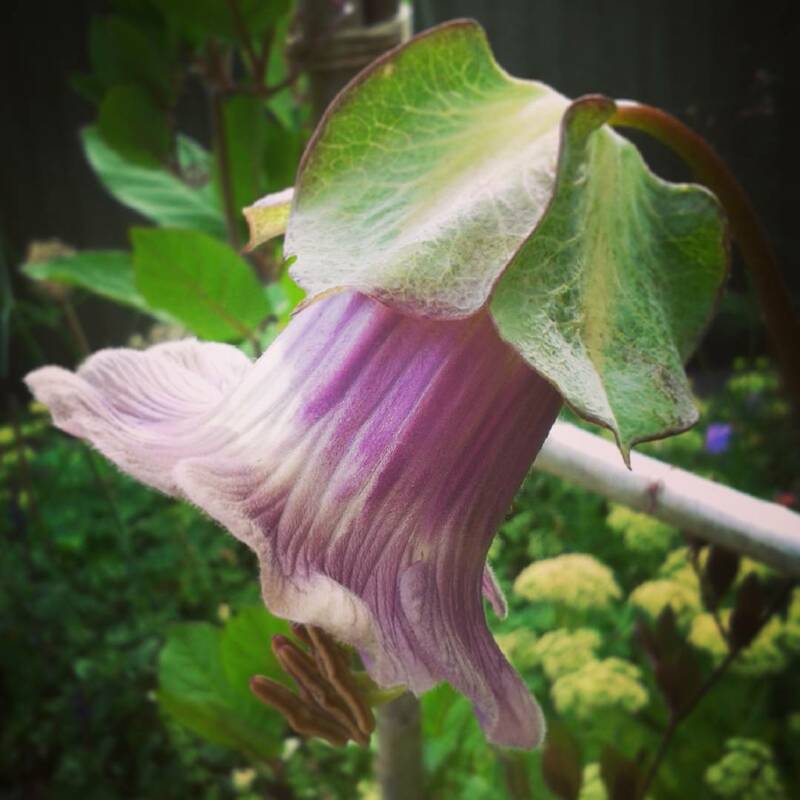 Then there’s Cobaea scandens or the cup and saucer plant. This exotic beauty is finally putting on a show. It’s a tender climber so it only started to flower in August, perhaps a tad reluctantly as grey skies have loomed over head, but it’ll keep going until frost cuts it back. Hopefully that won’t be until well into autumn and then we can enjoy these fabulous flowers for some time yet. I’m growing the purple variety but the fascinating thing is that as the bud opens the flowers are white. When I first saw one open I thought there had been a mix up with the seeds. Then over the next day or so the trumpet started to flush with colour until the whole flower had been transformed into the purple flower I had ordered. They look beautiful climbing up and over the hazel arch Wellyman made for me back in spring. There was a point when I wondered if I’d have any sunflowers at all this year. At the end of June my Helianthus ‘Italian White’ plants looked dreadful. 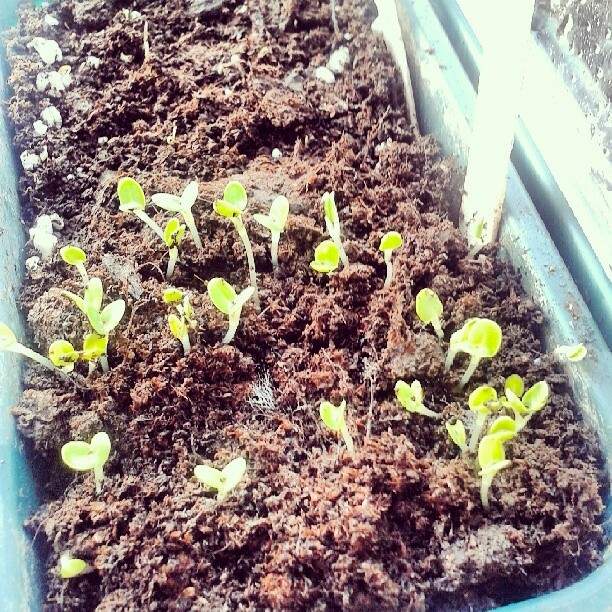 I always start sunflowers off indoors as slugs will devour seedlings over night. My little plants went into the ground in June about a foot tall with healthy green leaves and they looked fabulous, if I do say so myself. Of course pride comes before a fall and two weeks later they were in a sorry state. Slug-mauled, wind-battered and covered in blackfly. Wellyman attempting to squish the blackfly accidentally decapitated one of the plants too. I wish I’d taken a photo of them but it was too embarrassing. Well the transformation is quite remarkable. I now have 5ft tall lemon-coloured flowers reaching for the sun (desperately hoping they’ll see some). They’re more delicate with smaller flower heads than most sunflowers and I find they are much easier to arrange with other flowers. Not everything has worked. There have been annoying mix ups with seed varieties and tubers. Chatting with others this seems to be a problem which afflicts most seed and bulb companies. It’s frustrating but occasionally they bring a pleasant surprise. Antirrhinum ‘Snowflake’ has turned out to be a multi-coloured selection with beautiful lemon flowers and striking cerise blooms on fabulously tall stems. Fortunately I don’t grow for weddings otherwise I might be quite grumpy about these unexpected colours in the flower beds. Through the fog my love of flowers hasn’t diminished and maybe they might even help me to find my way out of this maze. I’m feeling a little out of control. I’m someone who likes to plan and feel on top of everything but I’m having to accept this year that it just isn’t possible. The garden and allotment are racing away with themselves. One day away is all it takes and I have courgettes morphing into marrows and French beans well over a foot long. These are the same beans that less than 48 hours ago were tiddlers. 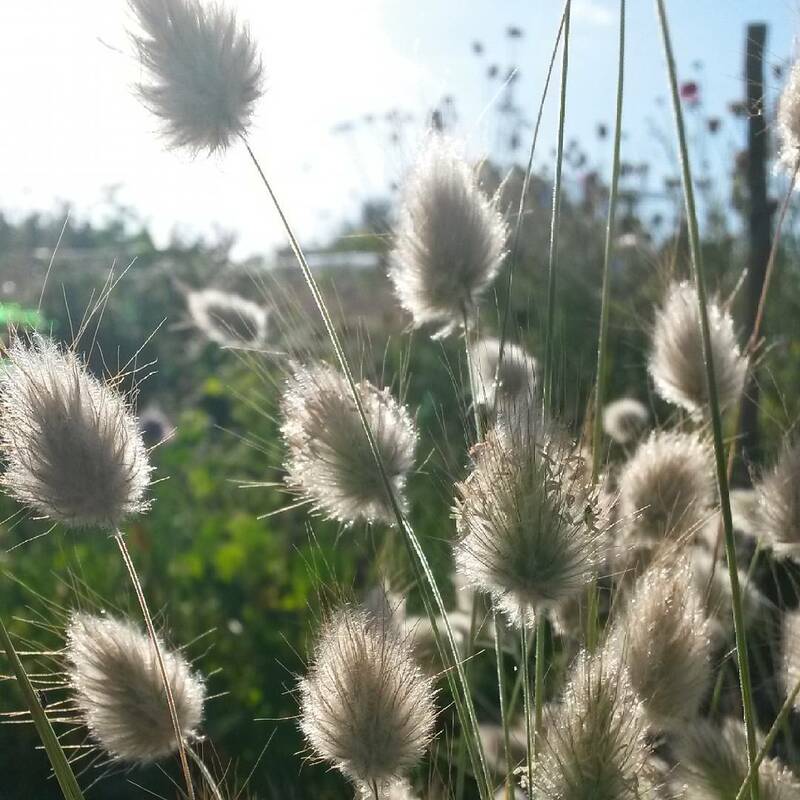 The fabulous summer weather we’re having is making everything romp away and now we’re past the solstice plants are doing what they need to do to ensure survival – going to seed. 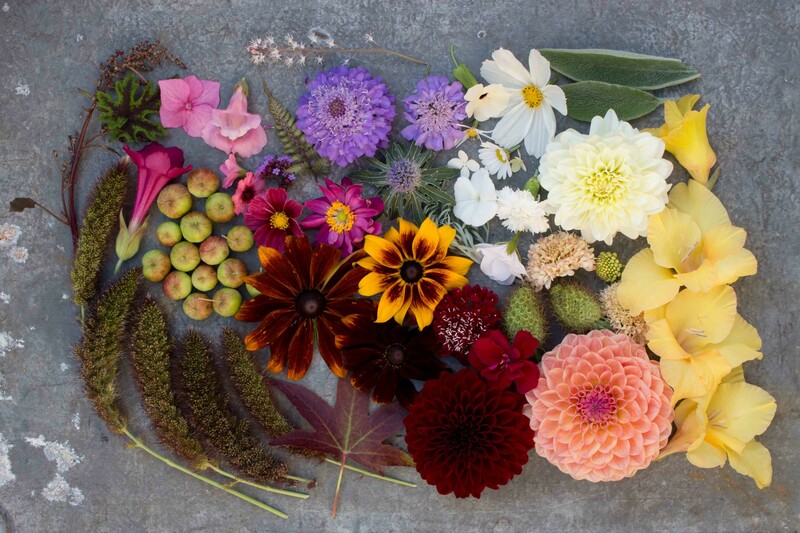 Keeping up with the deadheading is a feat in itself. At least the recent rain has meant I haven’t needed to spend time watering. It’s been a hectic few weeks with work and I haven’t been able to spend as much time as I’d like in the garden or on the plot. Blogging too has been neglected. I think I’m experiencing what might become known as the ‘August Dip’. I remember writing last year about losing my mojo around the same sort of time. A strange wave of apathy seems to descend upon me in August. Maybe it’s just I’ve run out of steam but I’m sure it’s also linked to the feeling that the both the garden and allotment have reached their peak. Once September arrives there’ll be a renewed sense of energy, well I hope so ….. The cut flower patch is blooming and it’s a real joy to see it teeming with insects. There was a day last week when I managed to get up there early, it was still and warm already. There was nobody else there. It was sheer bliss and all the effort felt worth it. The patch looks exactly how I wanted it to look. New varieties of flowers I’m trying for the first time elicit excitement when the first buds start to break. Gladioli are in full bloom and I walked back from the plot yesterday with a huge bundle of them. 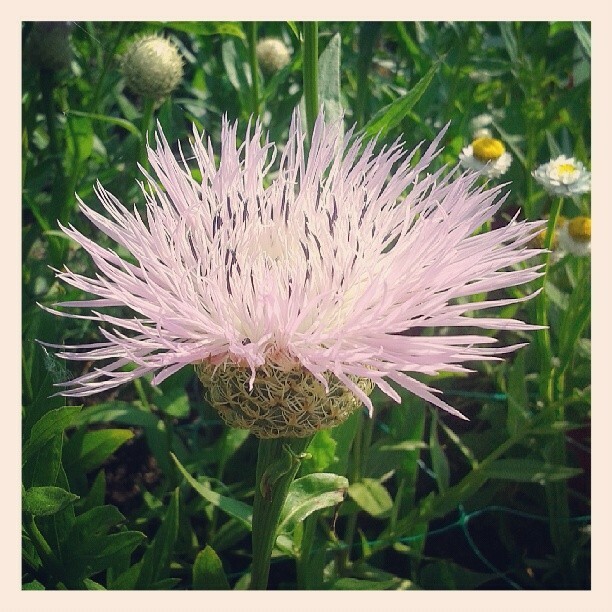 Centaurea americana ‘Aloha Blanca’ and ‘Aloha Rose’ have been great new discoveries for me. They seemed to take forever to open although their buds are so attractive – like botanical filigree – that this wasn’t a bad thing, I was just impatient to see the flower. And they’re fabulous, think huge fluffy thistles. On the fruit and veg front it has been a good year. Lettuce ‘Marvel of Four Season’ is my favourite and it has coped well in the face of not much rain. It’s only just starting to bolt, but as the name suggests I can sow now for autumn and winter crops. For once my successional sowing of lettuce has worked although that success might be come to an end if I don’t get sowing my next lot soon. Finally after 6 years of tomato disappointment we have our own home-grown ones. Our last tomato success came when we lived in Berkshire. It was a glorious summer with hardly any rain and we had a lovely sun trap where we gathered 15kg off only 6 plants. Ever since we’ve been defeated by either dodgy compost or blight. Having the greenhouse this year has made a huge difference and, so of course, has the weather. Although my nerves have been tested as I agreed to grow tomatoes for a magazine photo shoot. Fortunately the tomatoes survived and the photos are in the can. I can’t say the tomato growing has been a complete triumph though. Back in March I was sent some plants of a variety called ‘Indigo Rose’. They have been bred especially to have black skins. 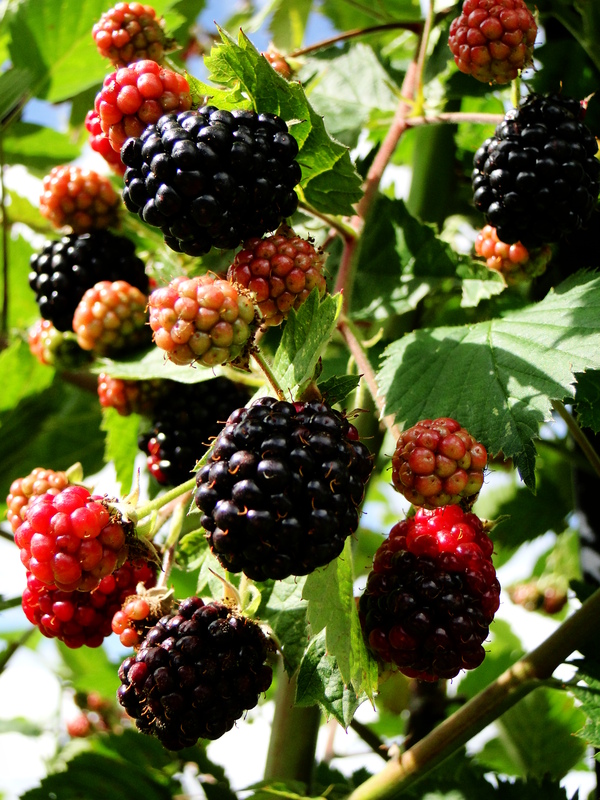 The idea behind this is that the compounds which give the black colour – anthocyanins – are antioxidants which are believed to be good for us. Oh they looked so promising. The plants grew away strongly and seemed to be very healthy and dark fruit started to form. But they have taken such a long time to ripen and when they have finally looked ready to eat I have been unimpressed. Wellyman summed up their flavour as ‘out of season supermarket’. To be honest I think even that’s being a bit kind. Of course, it could have been something I’ve done, too much water perhaps or not enough feed. Although the simple ‘Tumbler’ tomatoes I picked up as young plants from my local farmers’ market have been grown in the same way and they taste fantastic and they’ve also produced ripe fruit much more quickly. I’m still waiting for fruit from my yellow heritage variety, the name of which escapes me at the moment. I’m just glad I didn’t rely on one variety. I’d have been so disappointed if, in this perfect tomato growing year, the only ones I’d grown were ‘Indigo Rose’. I’d be very interested to hear if anyone else is growing ‘Indigo Rose’ and what they think of the flavour. 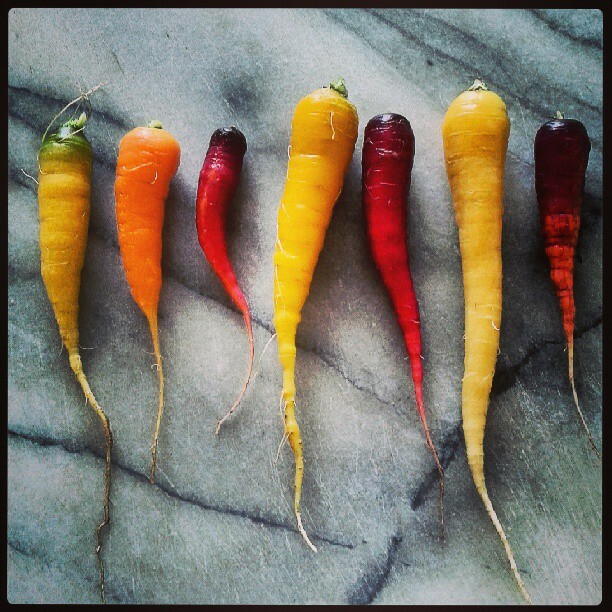 I’ve been delighted with my colourful carrots and beetroot. The book ‘Kitchen Garden Experts’ inspired me to grow some even though they weren’t part of my original plans. I thought I’d have enough to plants to grow with the list I needed for my new book but I couldn’t resist. OK, I’m not going to be self-sufficient in carrots – I only have a few large pots on the patio but they look so pretty and taste amazing picked, washed and eaten within minutes. I’ve also been very impressed with the flavour of the pink and white striped Beetroot ‘Chioggia’ which is milder than the dark red varieties and doesn’t make quite such a mess of your kitchen. I hear a storm is on the way for Sunday so today will be spent staking plants on the plot. They’re promising strong wind and rain. I’m just hoping everything will be standing by Monday. Growing plants for a book is not for the faint-hearted and I’m wondering why I ever suggested I would do it for a second year in a row. Well I do know why, it’s because I love growing but it would be nice if the weather didn’t cause me so many headaches. So, wish me luck and lets hope the weather forecasters have got it wrong. Who’d have thought that several weeks ago when we were being deluged with rain we would end up being treated to such a beautiful start to March; the clearest of blue skies and a gentle warmth to the sun. I’d be happy enough with this sort of weather in the height of summer let alone at the beginning of spring. Of course, spring can have a sting in its tail. Few of us need reminding of last year’s weather with a surprise cold snap dragging on well into June. Lets hope for growers and farmers alike that spring eases gently into summer this time around. The prolonged period of dry weather has been perfect to get out and tackle all those jobs which were starting to mount up. I know this will sound a bit odd but one of the jobs I most look forward to is emptying the shed. After spending all winter barely being able to get into the place it’s a relief to free it of its winter clutter. There tends to be a point around mid-February where I’ve given up all hope or pretence of being able to keep the shed tidy. Visits to the shed involve little more than standing at the door and shoving in whatever needs storing in there as best I can. Wellyman might occasionally be wandering around looking for something and say, ‘I think that might be in the shed’. There’s a hopeful look on his face as he contemplates going to look for whatever it is until he realises the folly of this idea and its rediscovery will have to wait until spring. It’s all been made worse this winter because of the torrents of rain. 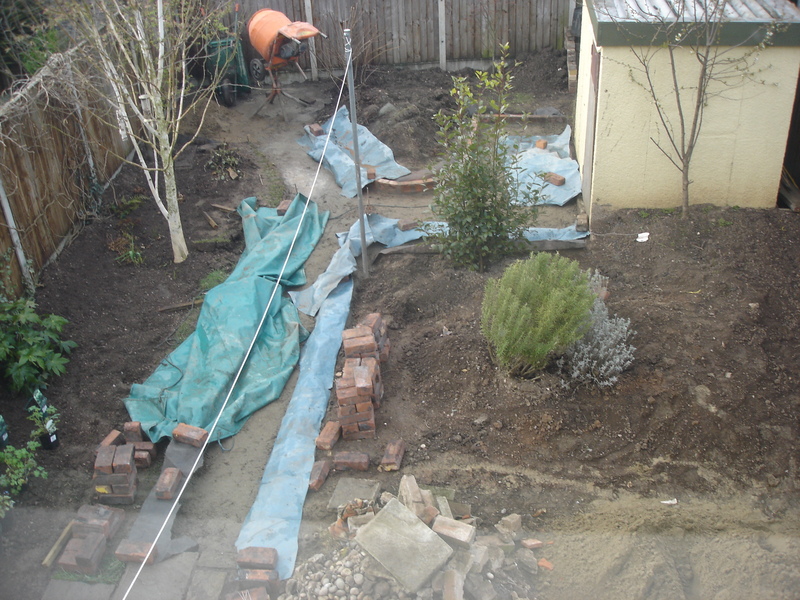 When we had the brick path in the garden put in for some unknown reason the builder sloped the path down towards the shed. It’s not a steep slope, in fact it’s barely perceptible. The result though is even just an average amount of rain simply washes down the bricks and settles on the concrete floor of the shed where it refuses to drain away. This winter the floor of the shed was one large puddle from December until the middle of last week. Still considering the impact the storms had on so many we have got off incredibly lightly. It makes such a difference having a run of several dry days making it possible to get sooooo much done. Seeds have been sown and are germinating nicely, roses have been pruned, the garden and allotment weeded. Grass paths at the plot have been edged and green manure cut back and dug in. 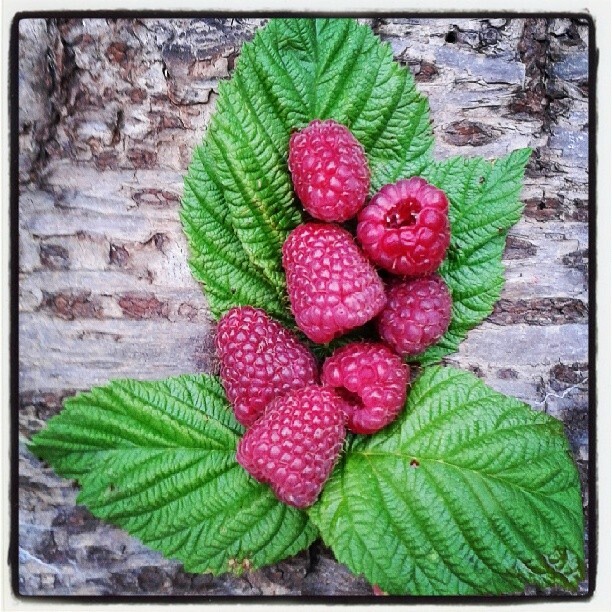 The autumn raspberries were pruned, although it was a mistake to forget my gloves. Once I was at the plot though I couldn’t be bothered to walk back home to get them, I knew I’d probably end up making a cup of tea and not coming back. 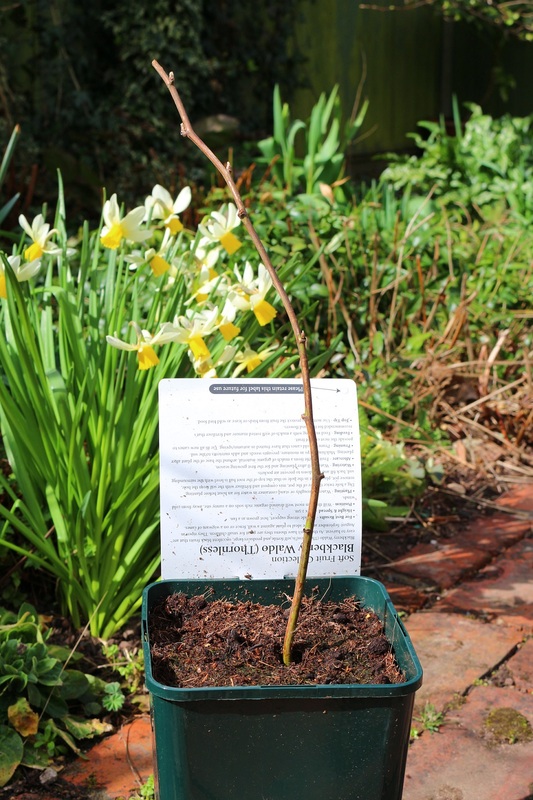 So I went ahead with the pruning anyway … gingerly. I was grateful for the stretchy long sleeves of my old jumper which provided a degree of protection but not enough if my scratched hands the following day were anything to go by. Then there was the mulching. I still find it hard to believe when we live in an area surrounded by farmers and stables that the allotments can’t get hold of a good source of manure. A lack of tow bars and trailers on our part and an unwillingness to deliver by the those with the muck have led to a stalemate and an empty manure patch. Last year, I finally found a source of rich, dark, crumbly green waste soil conditioner – it’s just a pity that it’s in the next county and a 40 minute round trip but I’ll take what I can get. We collected and distributed on to the allotment beds nearly 2 tonnes of the stuff. It’s surprising how much of it we needed. Another trip would have been ideal but with the green manure and some of our own compost looking like it’s ready to be used we should have enough muck, for now at least. As winter fades there’s always a part of me that wonders if some of my plants will reappear. And when they do it is quite magical. It’s new plants I’m most worried about. I planted two hop plants at the allotment last year and did think the incessant rain might have seen them off. It’s hard to beat the feeling when you spot some shoots appearing from the ground or big fat buds swelling on a plant you were worried might be dead. I’m pleased to report the hops have survived as have quite a few plants I grew on the plot for the book which I completely forgot about. I like surprises like that. I feel like I’m slowly emerging from hibernation. The weather isn’t perfect, in fact it’s raining again today but there has been a taste of spring over the last two weeks which has tempted me outdoors. It’s the last day of February today and technically the last day of winter but, as is quite typical for this time of year, the seasonal transition has brought some of the coldest weather so far. There’s a saying if March comes in like a lion then it’ll go out like a lamb and vice versa. Every year I mean to keep some sort of record of whether this has any real basis – I always forget. I hope the snow and frost predicted for this weekend count as March coming in like a lion and we’ll all be basking in spring sunshine by the end of the month. The lengthening days and the warmth in the sun have given me enough of a spur to start tackling jobs in the garden. I had one of those days last week when I didn’t plan on doing anything in particular, just a bit of cold frame re-jigging, but before I knew it the patio was a sea of pots as both the cold frames and greenhouse were emptied entirely, staging was removed and there I was giving them a full-blown spring clean. I didn’t realise how dirty the greenhouse had got until I had finished and it was now sparkling in the late afternoon sunshine. This sudden burst of enthusiasm had been prompted to a certain extent by some weekend seed sowing and the realisation that space was already a bit on the tight side. Reorganisation was needed. It’s already looking like another one of those years where my plans far outstrip the space I have to carry them out. It’s always a pity when good weather is so limited to spend a glorious day inside when there’s so much I could be doing outside, but my trip to London and the RHS Lindley Library last week had been planned for a while. Still, if I was going to be indoors on a sunny day there can’t be many better places to be. It was my first visit and it was garden book bliss. I was there doing research and got through quite a few books in my limited time but I had only scratched the surface of what was on the shelves. I can’t wait to go back there again. 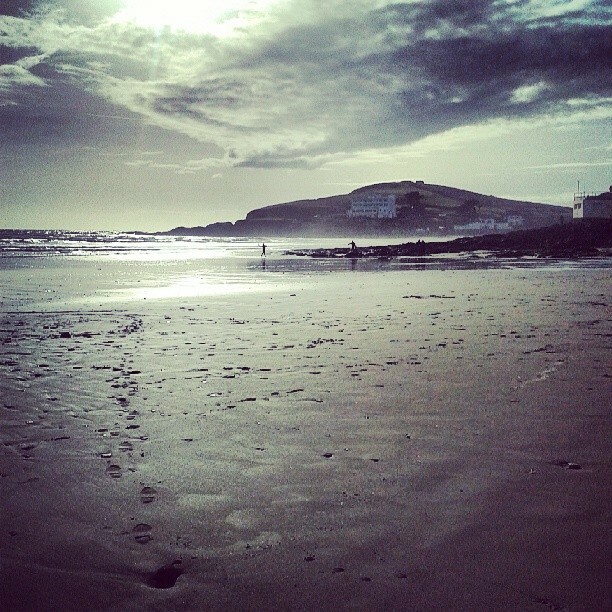 A few days by the sea in South Devon at the start of this week gave us a much needed break. It was a pity to hear from the owner of the bed and breakfast that people had cancelled their planned breaks because of the recent storms. There were places where there was visible storm damage, sand bags, trees uprooted and plants burnt to a crisp by salt-laden winds but, in general, it’s remarkable how unscathed most places were. For areas so dependent on tourism it’s incredibly important to support the local economy and the best way to do this is go there on holiday. I don’t know why I’m always surprised at how much milder it is in the south-west. 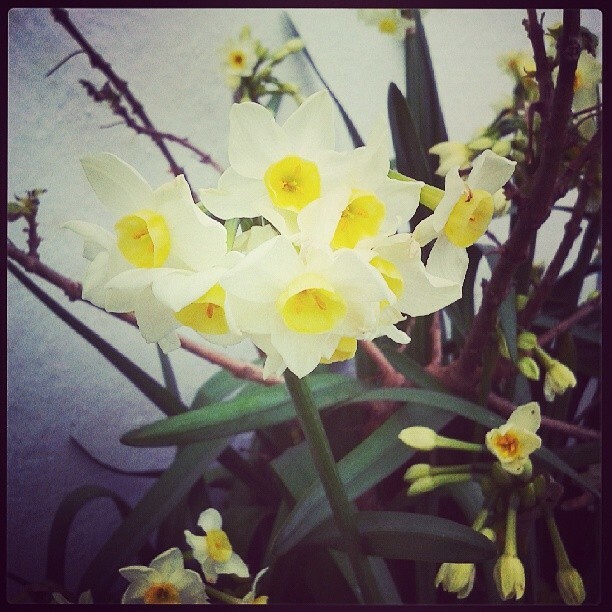 In the sheltered little fishing villages and coves there were scented narcissi in full bloom already. I have the same bulbs on my cut flower patch and even though it has been a mild winter, with hardly any frost, it’ll be another month or so before mine flower. I picked the first posy of flowers from the allotment yesterday – a handful of Anemone coronaria, and there are primroses galore in the garden so I have a few small jars of those dotted about the house too. With seedlings appearing in trays on the windowsill and packages of seeds and bulbs arriving through the post it all feels quite exciting. For me this is the real start to the new year. Kale has been one of those vegetables that has had a bit of an image problem in the past. 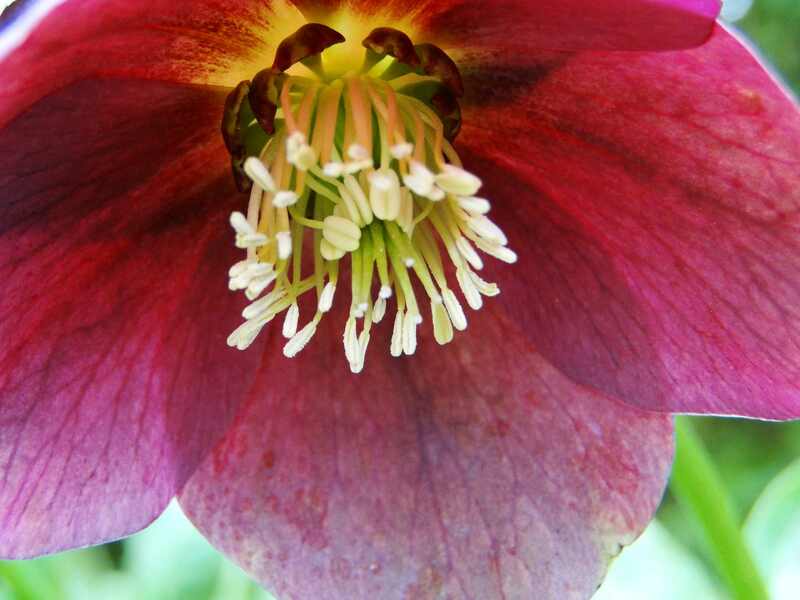 Robust and super hardy plants, they have a certain don’t mess with me attitude about them and can cope with whatever the winter weather will through at them. I’ve been growing them since I took on my plot and they have stood unflinching through minus 15 degrees C, being buried under several feet of snow and this winter have coped with the deluge of rain deposited on them. Popular in Britain as a crop for thousands of years, it’s thought they may have been introduced by the Romans. A rich source of vitamins and minerals kale, like its brassica cousin the cabbage, would have been an important part of the diet of our ancestors. There is an earthiness and sense of the peasant about kale and perhaps this is why it has proved unpopular in recent times. Competing with imported out of season tomatoes, aubergines and peppers, which bring a splash of the summer to our gloomy winters, is going to be a hard sell. Then there’s the taste, when you eat kale you know it’s good for you with its rich irony flavour. Palates used to blander tastes and imported vegetables are going to struggle with such a hale and hearty vegetable. This is a pity though because kale is one of the easiest crops to grow and one of the most versatile in the kitchen. Curly kale is the classic variety, with cavolo nero being the most fashionable but my own favourite is Russian red Kale which I find to be sweeter than other kales. 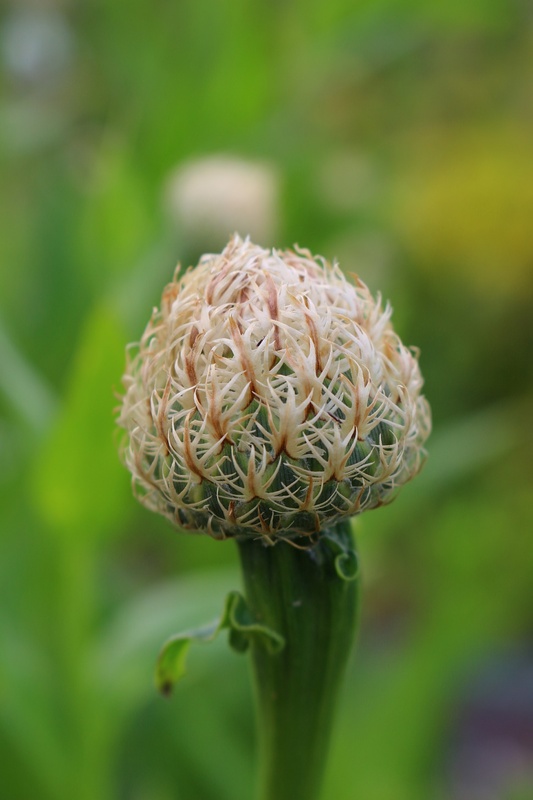 It must be up there as one of the prettiest vegetables, a must for any kitchen garden. Grey-green leaves with pink veins are an unusual and striking combo. And, as the light levels and temperatures drop the colours become more intense. The leaves are frilly and capture raindrops which glisten like droplets of molten silver. They look even better with a dusting of frost. Red Russian is one of the hardiest too, originating from Siberia. Brassicas are one of those crops which can break even the keenest and green fingered of gardeners. They seem to suffer from more than their fair share of pests and diseases. Club root, a fungal disease which causes the roots of brassicas to swell and the plants to become stunted can stay in the soil for over twenty years. No amount of crop rotation is going to eliminate this from your veg garden. Then there’s cabbage white butterflies whose caterpillars can strip a plant bare over night. If you’ve struggled with cabbages and are fed up with attempts to grow broccoli then you need to give red Russian kale a try. 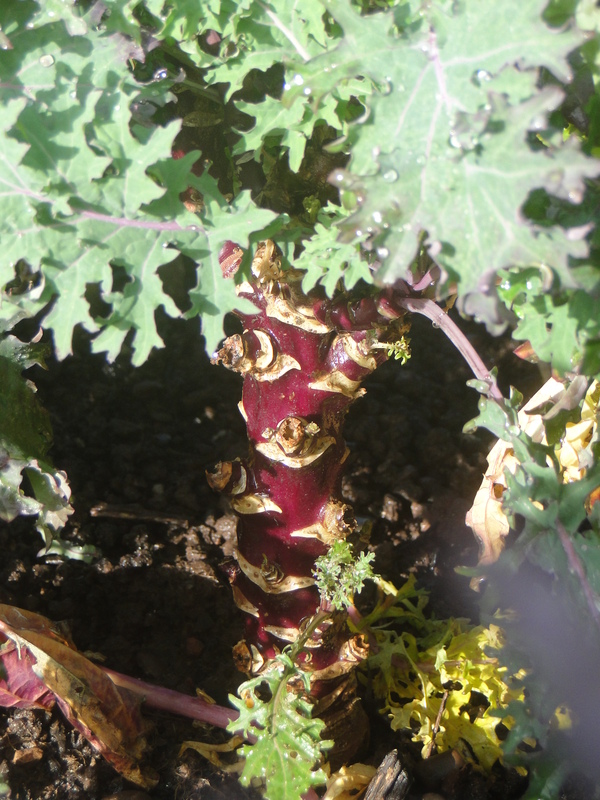 Club root is in the soil at my allotments but kale, and red Russian in particular, seems oblivious to this fact. Even the caterpillars of cabbage whites seem to show little interest. 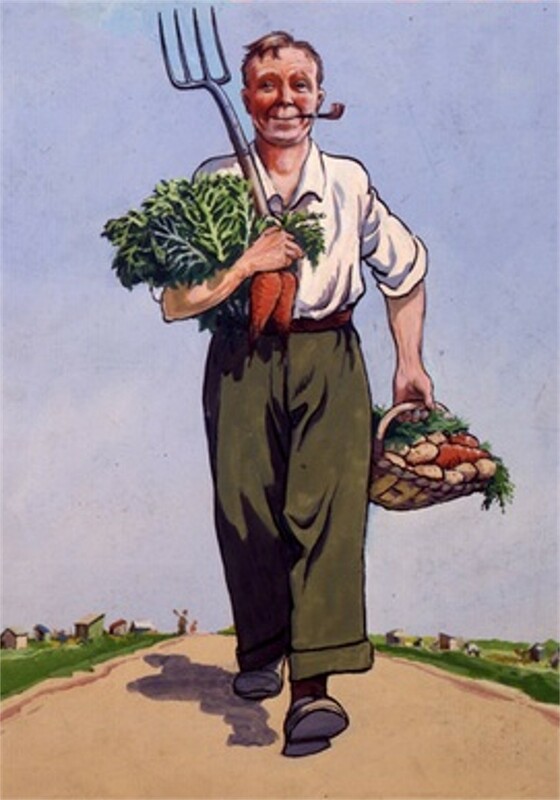 Perhaps this is because fellow allotment holders are kindly growing more appealing, and sacrificial, cabbages. White fly will take up residence but other than a plume of tiny winged creatures filling your kitchen they seem to be no problem for the plant itself. 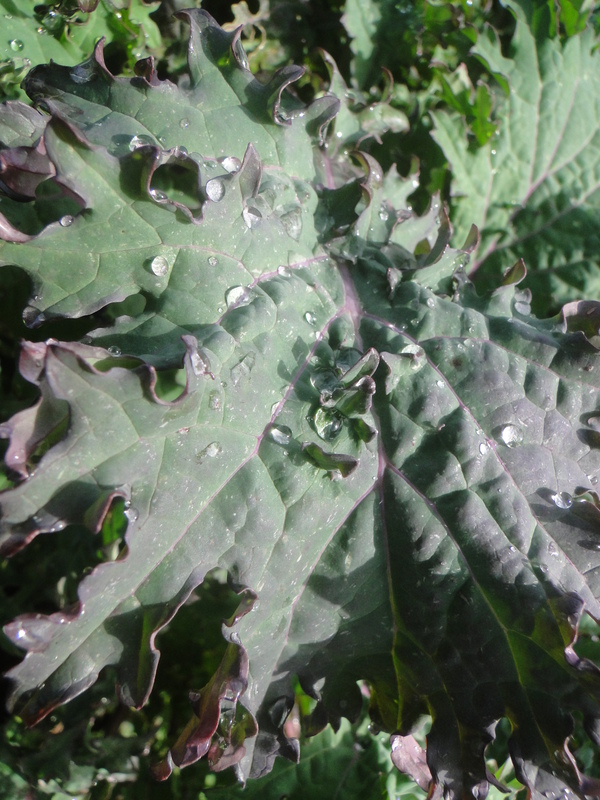 The beauty of red Russian kale is you can have it pretty much all year round. You could sow throughout the year if you wanted baby leaves to use in salads and stir-frys. Sow in spring and you can crop from summer right through until the following spring or sow in late summer for plants which will go through the winter. Simply keep picking the leaves and they will go on producing. 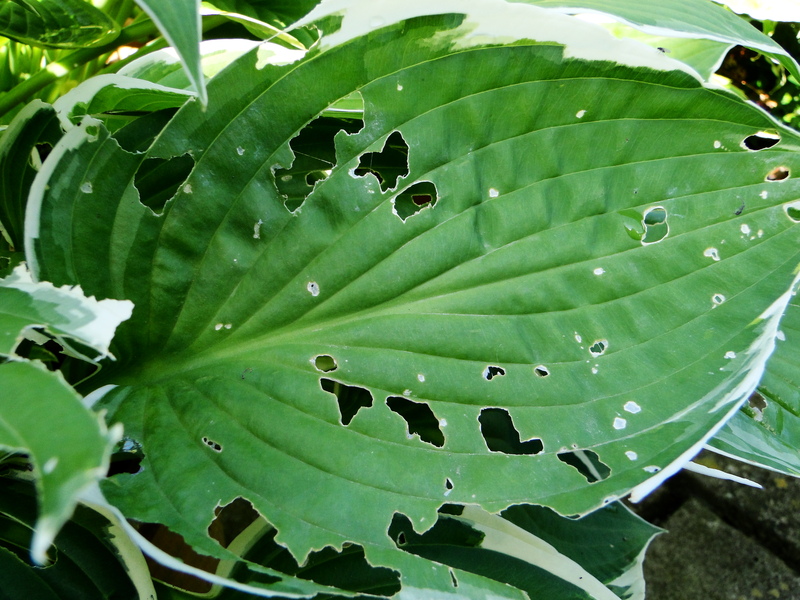 I find three or four plants are enough, as you never want to strip a plant bare, they do need some leaves to keep on growing. I always sow into modules or a seed tray and nurture young plants in my greenhouse or cold frame until they are big enough to go out onto the allotment. But I’m sure you could sow the seeds direct too, just make sure you protect the young seedlings from slugs. Kales are becoming trendy again. We’re learning to embrace stronger flavours, we love the idea of super foods and are harking back to comfort foods and rustic cooking. Kale fits the bill perfectly. It’s getting easier to come by in supermarkets and farmer markets, particularly the curly and cavolo nero varieties but you’ll struggle to find red Russian. I’ve only seen it once in an organic shop in Hebden Bridge. I was so surprised I squealed ‘red Russian kale’, much to the consternation of the fellow customers. So if you’re going to grow one kale grow this one. As for what to do with it, well you can simply lightly steam it. It only takes a minute or two so don’t cook it into oblivion. You can add it to pasta sauces, frittatas and use it as a spinach substitute in dishes like spanokopitta. This is my own take on this Greek dish and is perfect in winter. Roast some butternut squash and red onion for about 30 minutes until soft. Steam a handful of kale. Mix these in a bowl with feta cheese, cashew nuts and hazelnuts. 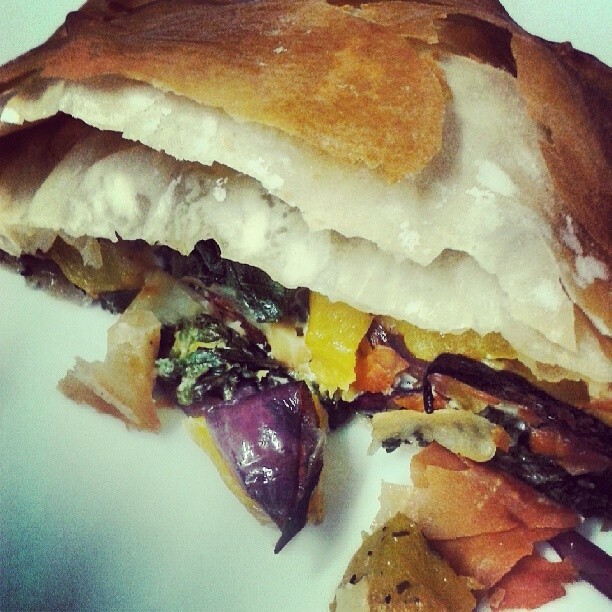 Season and then use as a filling, wrapping in sheets of oiled or buttered filo pastry. Bake in the oven for 20 minutes until golden and crispy. I know there’s always something I could be doing in the garden or on the allotment but the incessant rain since the start of December has meant that they have been no-go zones really. 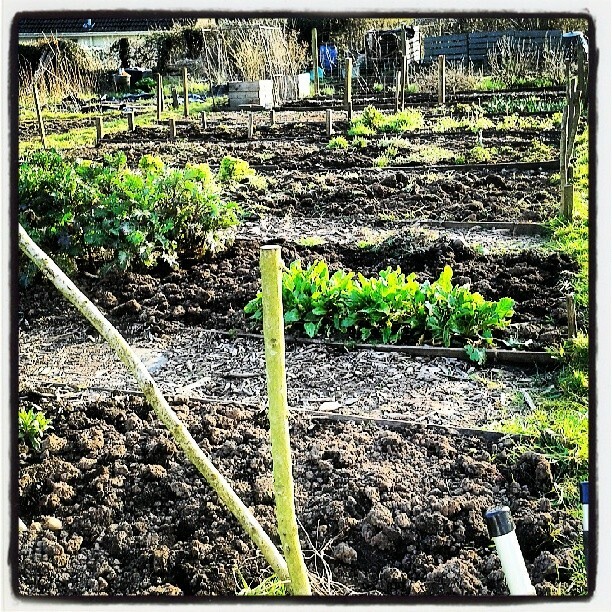 I always find the sight of a ‘bare to the bones’ allotment a bit too demoralising anyway. My own plot hasn’t fared too badly considering. I didn’t think it was possible to rain more than it did in 2012 but this has been the first time I have seen standing water on my plot. I fear for the tulips tucked up in the soil but there’s little I can do about it now. The green manure I sowed back in late summer and early autumn has made a real difference to how the soil has coped with the rain. Neighbouring plots look as if the soil has literally been pummelled, the rain has been so intense. Whereas the beds on my allotment, covered in phacelia, look as if they haven’t been touched. It’s just a pity I couldn’t cover more soil. One of the downsides to using green manures is needing bare soil to sow into at the right time for it to have time to germinate and put on enough growth. With such a mild autumn I still had flowers going into November. By the time I pulled them out it was too late to sow. Gardening does take up such an enormous amount of my time during the year that it leaves a fairly large void when winter comes round. So what does a gardener do when they can’t garden, when it’s cold and wet outside and nothing is growing? For me the winter break gives me the chance to get crafty. Crochet is the craft of choice at the moment. It’s perfect for whiling away the long dark nights sat in front of the fire. I have dabbled with a crochet hook in the past. I made a hat for Wellyman one Christmas, although I massively underestimated the time it would take to make it. I got there with hours to spare but developed a touch of repetitive strain injury in the process. Perhaps this is why I took a break and put the wool to one side. But this autumn I returned to it again and I’m completely addicted. The pile of crochet books are building up by my bedside table and I’ve acquired quite a stash of wool. 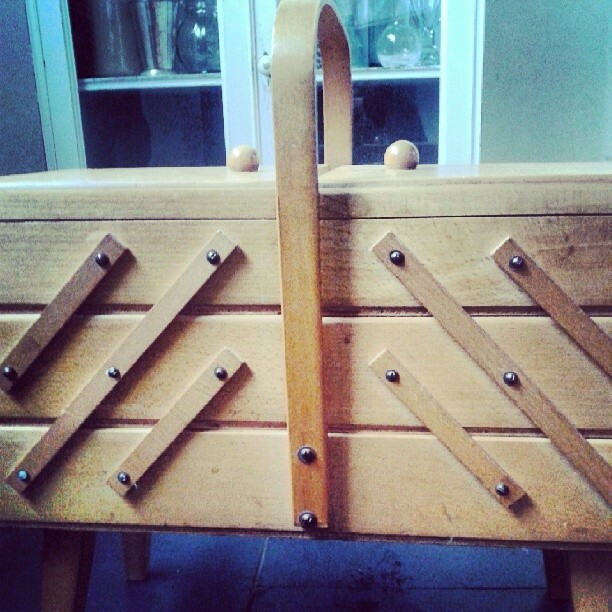 And I was over the moon last weekend when I was given a beautiful sewing box by my in-laws. I had been on the lookout for one for a while and planned a visit to a flea market in the new year to track one down. Instead I am now the proud owner of the one which belonged to Wellyman’s grandma, and that family connection makes it all the more special. I love the functionality of the design and its simple Shaker-style beauty. 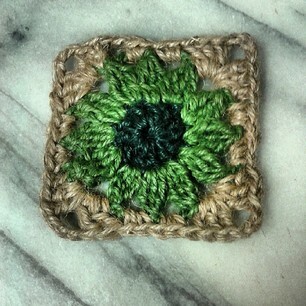 It turns out though that even when I crochet gardening and plants aren’t that far from my mind. 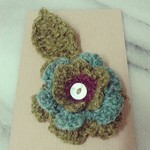 This flower brooch was a Christmas present for my mum. 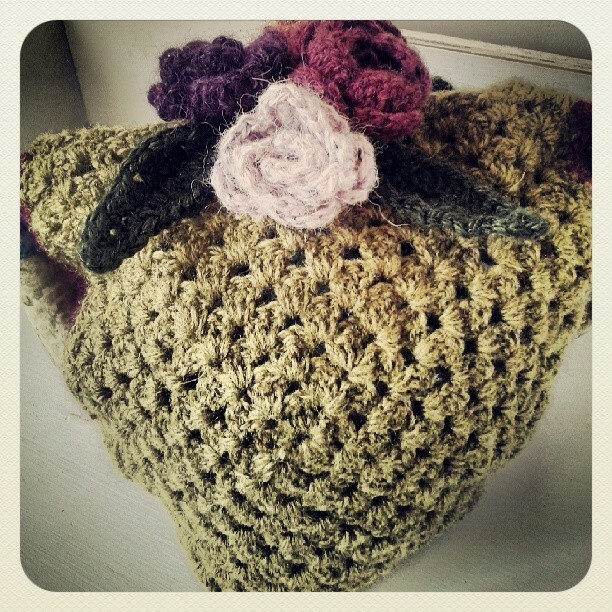 And the colours I used for my tea cosy were inspired by the a drive we did several years ago, in Ireland. We found ourselves passing through a place called Sally Gap not far from Dublin. The scenery was stunning with dark, rich green moorland and pink, purpley tones of heather. I’ve even found that garden twine makes a very interesting material with which to crochet. It’s much harder to work with than wool because the fibre is tougher but the texture the jute gives to projects is fantastic. It’s more robust than wool too which makes it perfect for table mats and coasters. Strangely there is little recorded history about crochet. It became popular in the 19th century from Britain to Africa and across to Asia but, prior to this, there is nothing to suggest the origins of using one hook and a thread to create a fabric. Knitting however can be traced back to the early medieval period. Every time I make something I find it incredible that simply by using one hook and a material it is possible to create so many different patterns and designs. I have lots of plans; an old duvet cover is to be cut up and crocheted to make a bath mat, there are cushion covers to make, a blanket to finish. The nights are getting a little lighter and the first of the seed orders has been made. So as the garden starts to make it demands I guess there’ll be less time to crochet in the coming months, but that’s fine, as I’m itching to get my hands into the soil again. I’d love to hear about what you do during the winter gardening hibernation. Gardening can give so much pleasure. There is much talk at the moment about the future of gardening. There seems to be a collective panic amongst many within the gardening industry be it growers, writers or the gardening establishment of the RHS that gardening is in decline. The suggestion is younger people aren’t interested in plants, front gardens have been concreted over to give our cars a home for the night and where’s the room for plants in our back gardens when there’s hot tubs, trampolines and barbecues the size of some people’s kitchens taking up all the space. 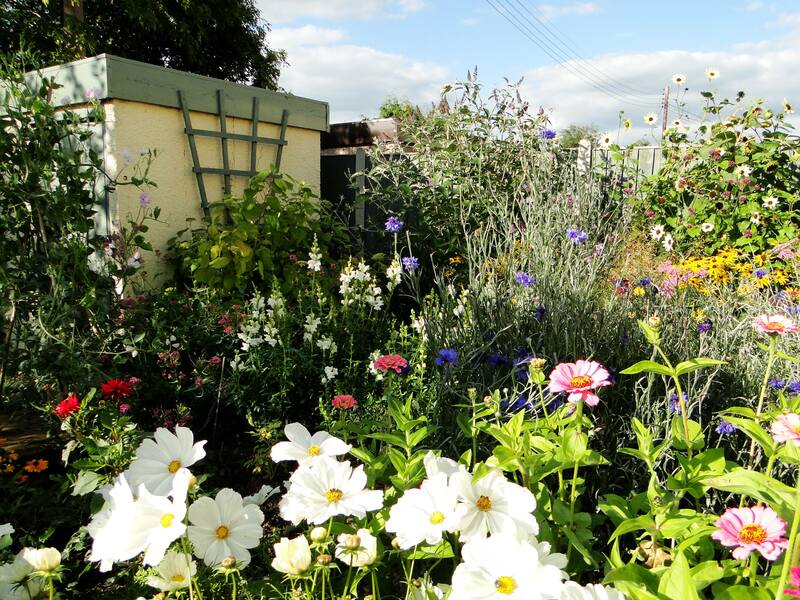 Two new garden programmes will be on the BBC soon – The Great British Garden Revival and The Great Allotment Challenge – which it hopes will reignite the nation’s passion for plants. But is there a crisis in the first place? Certainly in my experience I know few people who garden and by garden I mean actively grow plants, mowing a lawn once a week doesn’t count. But if I think back to when I was growing up in the eighties I don’t remember gardening featuring highly as a hobby for the parents of my friends. So has much changed? 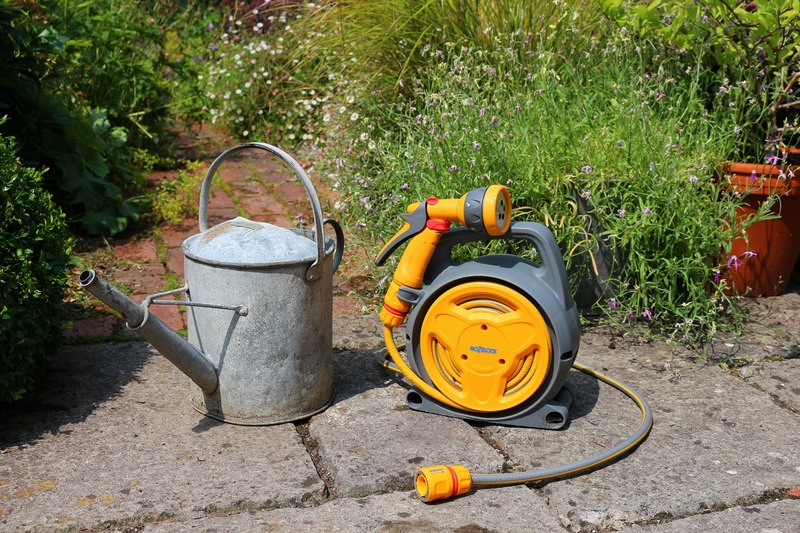 There’s certainly more opportunities to spend money on gardening products than ever before. 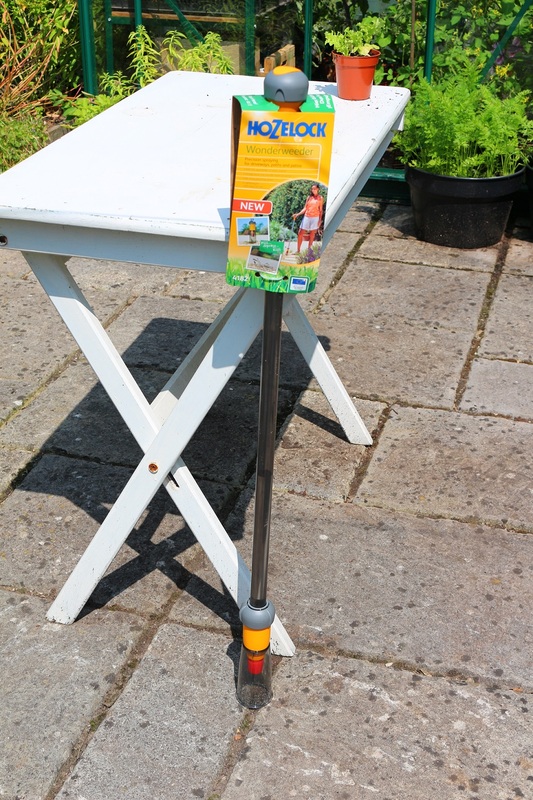 But garden centres and even the large flower shows, where there is a huge focus on non-plant related garden paraphenalia, have changed our ideas about what constitutes gardening. The phrase ‘outdoor room’ makes me shudder but that has been the trend of recent years and means many gardens are becoming a repository for everything BUT plants. There’s much comparison between the seemingly insatiable appetite for food programmes and the distinct lack of gardening on TV. David Dimbleby recently suggested there should be fewer food and garden programmes. He has a point regarding cookery, some nights it’s wall to wall nosh, but gardening? The half an hour a week of Gardeners’ World hardly counts as a surfeit of plant related telly. 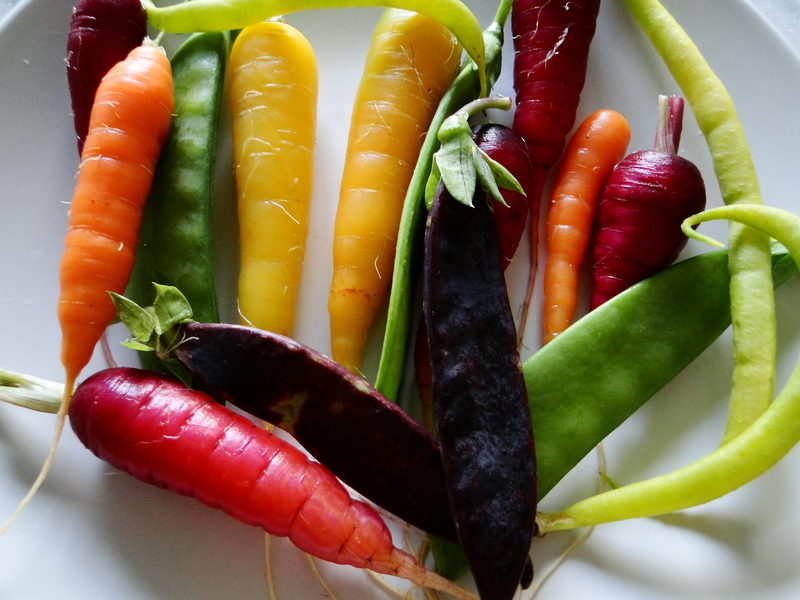 It has been suggested that gardening needs to be made cool and instead of people being obsessed by cake decorating and soggy bottoms it’ll be home-grown carrots and gardening gloves that we’ll all want. But food programmes do have one big advantage at capturing our attention and that’s all the sugar and fat? A soil encrusted parsnip isn’t going to get the saliva glands going in quite the same way as butter, cream and oodles of chocolate. There’s a much quicker result from food. You see the ingredients being combined and then, ‘hey presto!’, a cake appears. It’s much harder to convey the satisfaction that gardening can give in a half hour programme. Sow some carrot seeds and then it’s three months before the result can be shown. Getting hung up on comparisons with the interest in food is distracting. Sales of juicers maybe up 210% but anyone who has ever owned a juicer knows the reality. You use them once or twice then you realise they are a nightmare to clean, they spend a year in the cupboard before you give it away to some unsuspecting relative. Viewing, purchasing and actually doing should not be confused. Gardening has always been seen as a pastime for an older generation. Gardening does have a bit of an image problem. I recently received a birthday card from a friend. In the note inside she wrote about how she loved walking around it in spring and seeing the plants poking through. She finished this with ‘I must be getting old’. Admittedly we are both approaching forty so she isn’t wrong but the connection between gardening and age is interesting. It’s not the first time I’ve heard this either. Throughout my twenties and into my thirties I was made to feel as if my love of gardening meant I had progressed all too rapidly towards the world of pipe and slippers. Gardening presenters are, with a few exceptions middle-aged or over, and content often focusses on gardens that many of us unfortunate enough to be on the wrong side of the property boom will never in our wildest dreams be able to afford. These two factors do create a general perception that gardening is not for younger people. But hasn’t this always been the case and does that mean there should be a drive to make gardening trendy and appealing to a younger audience? The first problem is defining what is young. When I stand up after planting bulbs my knees remind me I’m getting older but in terms of the typical age group that watches Gardeners’ World, which is apparently over 60, I would imagine the production team consider me a youngster. The danger is trying to make something trendy can be like watching someone recapturing their youth on the dancefloor – painful. And what works for one programme won’t necessarily translate to another. Just because the format of Top Gear has worked so well, (this is completely unfathomable to me) that doesn’t mean you can shoehorn it into other subjects. Gardening should be seen as open to all, a rewarding and fun hobby but perhaps we need just need to accept that gardening is something that comes to many for the first time in their thirties, forties and even fifties and that in many cases circumstances drive this. Perhaps a fundamental reason for the success of food programmes is that we all have a kitchen. When it comes to gardening not everyone has the space to grow. A straw poll of people I know includes those who house-share even in their thirties because to buy is too expensive and those who live in flats, again driven by financial circumstance. Then there’s time. Some spend several hours a day just getting to and from work, there’s young children to look after and childcare to arrange. Demanding jobs and increasing ways of spending our leisure time mean gardening is bound to be one of the hobbies that falls by the wayside. I can remember the days before Sunday trading was allowed. 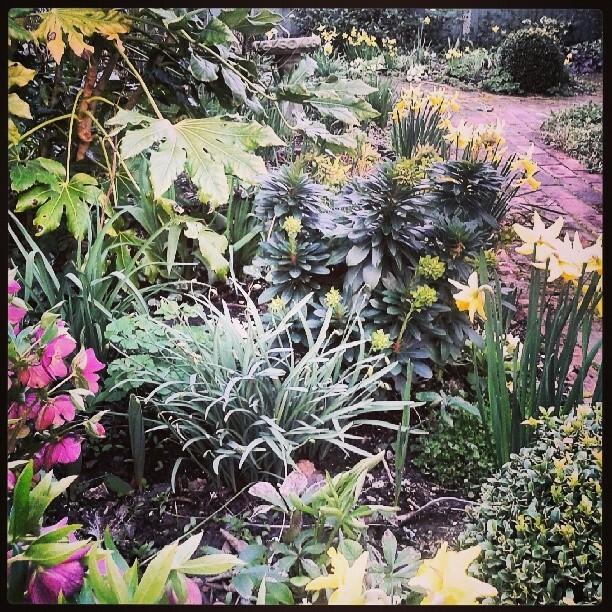 It’s hard to imagine now that Sunday was meant to be a day of rest, a day for pottering around the garden. I’m not looking back at the early eighties with rose-tinted glasses, I remember all too well the interminable boredom sometimes that drove us to watch programmes like Bullseye, but the way we use our free time has changed and gardening has suffered as a result. 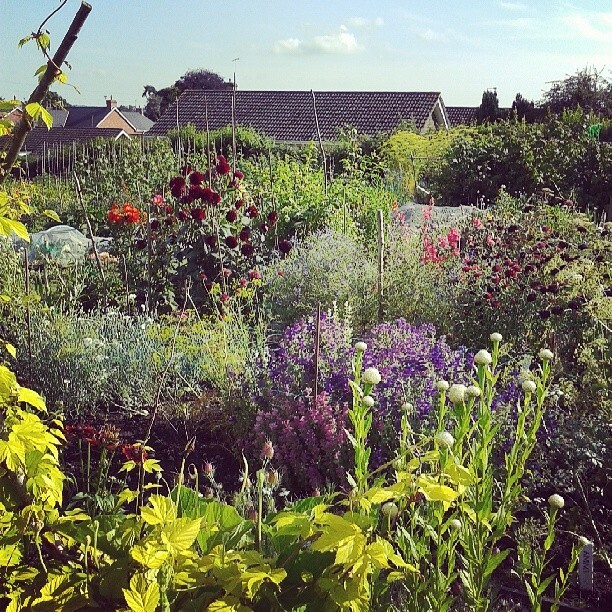 If anything the crisis in gardening is not about those who are choosing not to grow but those who would grow given the chance but a lack of space and time make it impossible. The problems affecting the future of gardening go much deeper. I look forward to new, and hopefully inspiring, gardening programmes but if we want to get more people growing it won’t be enough for gardening to pin its hopes on TV to be it’s saviour in the same way The Great British Bake Off has been for cake tins and baking trays. There is a huge focus on gardening in primary schools now so there is hope that this generation of young people will grow up with a love of plants. Whether they have anywhere to grow them may be a different story. Whether land for growing, be it allotments, back gardens or community spaces is available in the future for today’s children to carry on Britain’s great tradition of gardening is down to our politicians, architects, planners, house builders and ultimately us. If this generation don’t value the green spaces we have bought alongside our houses then why should the politicians. If we concrete them over to provide parking why should we expect planners and architects to see a value in gardens. Whether gardening is cool should be the least of our worries.